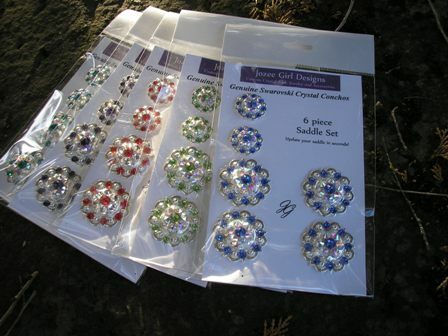 Jozee Girl Designs Custom Crystal Tack, Jewelry & Accessories - ¾" Crystal Concho ~ Choose your Crystal Colors! 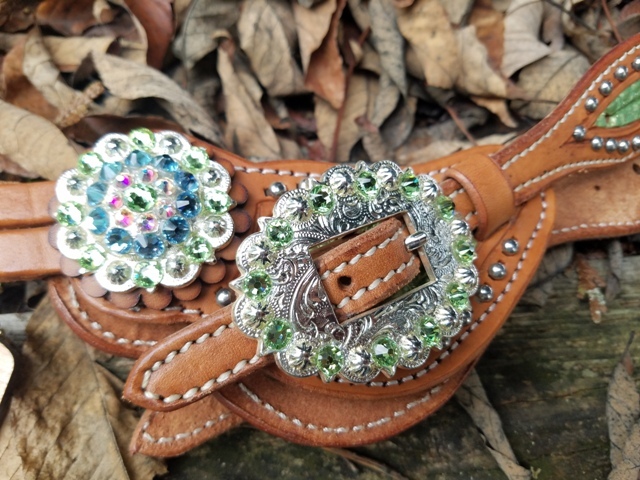 Example photo shown with Purple Velvet Center, Clear accent row and Aquamarine Outside Row. 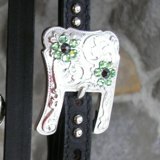 Custom Mini / Pony Bronc Halter ~ NEW!